Keep in mind that Ottawa is also without Jason Spezza, he of the $7MM cap hit, putting their roster salary closer to $47MM, or almost $20MM less than Montreal. Montreal heftily outspends Ottawa in salary, and probably should be where they are in the standings considering. Ottawa is doing this shoestring style, and Paul MacLean should probably get some Jack Adams consideration for it. Meaning, Montreal has been producing better than expected given their on-ice performance, and some regression is in the books—though not a huge amount, and the same, though to a smaller degree, can be said of Ottawa. Again, close enough to almost be a wash. So, what happens when a good PP goes up against a good PK? How about a terrible PP and terrible PK? Answer: I have no idea. It still blows my mind that Ottawa can lead the league in shots and be so poor at finishing. …on the other hand, Ottawa isn’t even supposed to be here. They’ve spent most of the season dealing with ridiculous injuries, and even crafted a team identity around it (#peskysens). Their goaltenders have a tendency to get hot and stay hot. Their defensive stats are legit, but their offensive stats reflect, in part, a season without their Norris Trophy winner–and he’s back now. Looking only at the stats, this might not be the same Ottawa team Montreal faced. That the series opens with back-to-back games in Montreal is going to be a factor. If Ottawa stuns Montreal with a win on the road in Game One, Montreal doesn’t have a lot of time to readjust, practice, and reset their game. 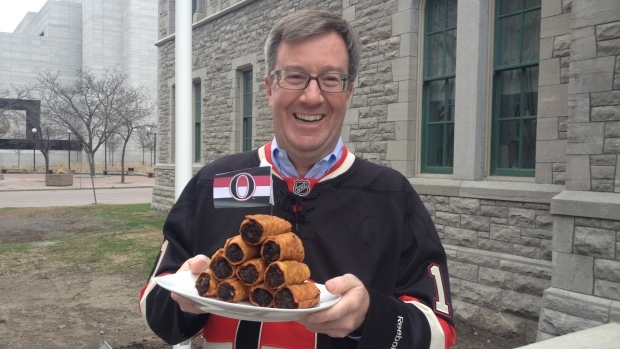 Similarly, if Montreal gets on a roll in Game One, Ottawa won’t have much of a break before they have to go right back in the frying pan. Game One is going to be huge.